Delight your friends and family with this original Snowflake Pop Up card. If you are having a January birthday, this would make a fun invitation. If you want to make a larger version just enlarge all the patterns the same amount on the copy machine. 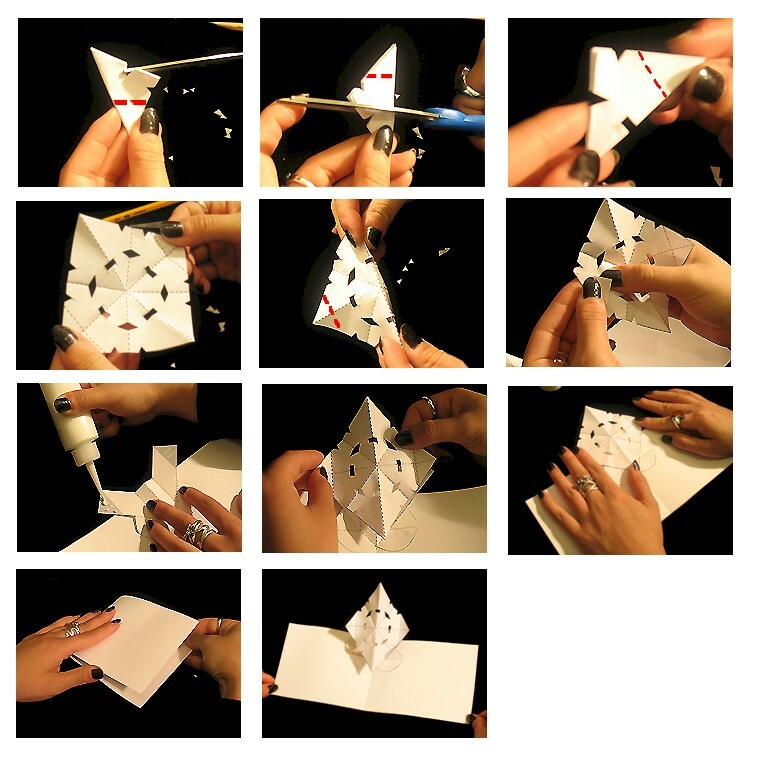 Print out the illustrations to help you create your own snowflake pop ups. 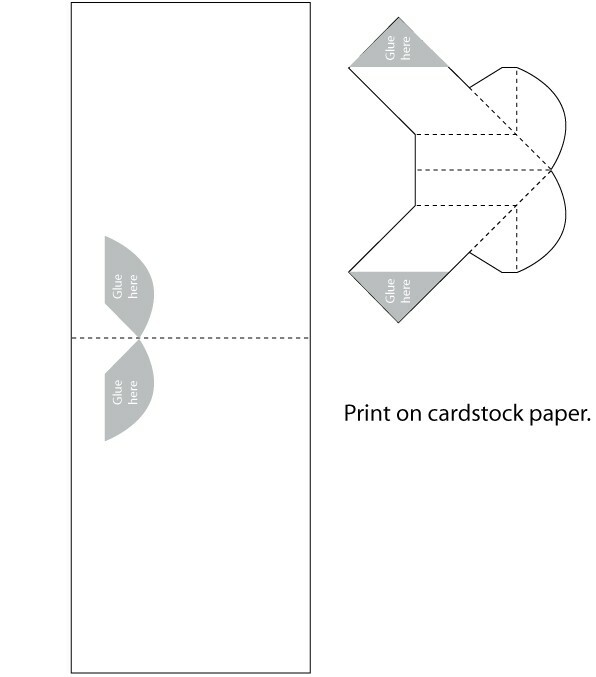 Print out the card and support pieces on a heavy paper like cardstock or construction paper. Print out the snowflake on regular office or copy paper. Carefully cut out the pop-up pieces and card following the solid, gray lines around the shape. Fold the base piece of the snowflake in half and put it back to its original position. Fold the left tab up and crease with your thumb or finger. Put the tab back to its original position and repeat the steps on the right side. Crease and push the center of the fold towards you with your index finger. Fold the left arm over and across the piece. Don’t worry if you crease the left tab, we will fix it in the next step. 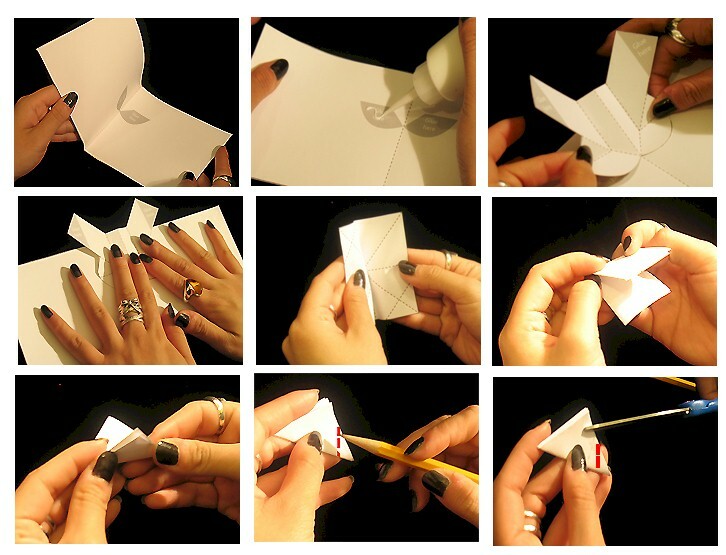 Fold the left tab up and crease with your thumb or finger and put it back to its original positon. Repeat Steps 9 and 10 for the right side. Check the printable illustrations to see the progression of steps. Take the base page and fold it in half. Apply glue to the grey areas marked “glue here”. Position one side of the tab on top of the glued area. Do the same to the other side. Press down firmly with both hands and let the glue dry. 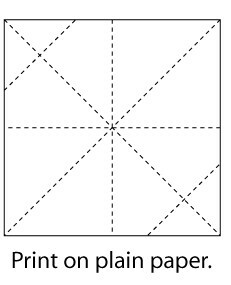 Take the piece printed on regular paper and fold it in half. 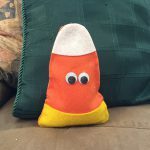 Fold the piece down… And then up forming a triangle. Carefully cut out small shapes ABOVE the line you just drew. You may cut out shapes like a small triangle or rectangle. Do the same on the other side of the triangle above your dotted line. 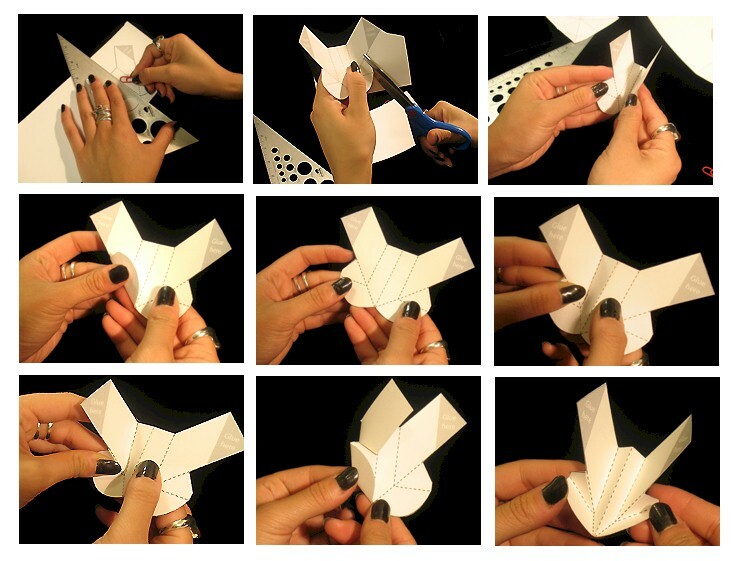 Fold the center of the snowflake away from you, crease it with your finger and put it back to its original position. Now fold the right side tab of the snowflake. Crease it with your thumb or finger. Do the same to the other side and place it back to its original positions. Apply glue to the areas marked “glue here” on the piece that is glued to the card. Carefully align your snowflake on top of one side, and then the other. Press firmly and wait for the glue to dry. Carefully fold your card in half.